Various front-end antenna solutions relying on patch radiating structures have been proposed for millimetre-wave applications. Said antennas are characterised by small size, low weight, and low cost and can be easily integrated on chip. However, because of losses in conductors as well as dielectric substrate materials, these antennas suffer from low radiation efficiency (< 10%), low gain (< 0dBi), and narrowband behavior. The class of Dielectric Resonator Antennas (DRAs) is a promising candidate to replace more traditional and conventional antennas especially at millimeterwave frequencies and beyond. This is mainly attributed to the fact that DRAs do not suffer from conduction losses and are characterised by high radiation efficiency when excited properly. DRAs rely on leaky dielectric resonators that can transform guided waves into volume waves (RF signals). In the past, these antennas have been mainly realised by making use of ceramic materials characterised by large permittivity and high Quality (Q) factor (between 20-2000). 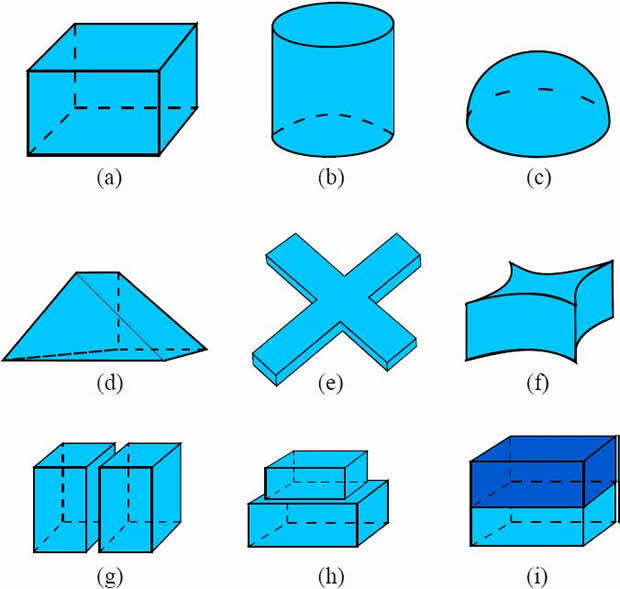 Figure 1 shows examples of different radiating structures that can be used for dielectric resonator antennas. As compared to traditional metallic antennas, whose size is proportional to free space wavelength (λ0), DRAs are characterised by a smaller form factor especially when a material with high relative dielectric constant (εr) is selected for the design. Due to the absence of conducting materials, DRAs are characterised by high radiation efficiency when a low-loss dielectric material is chosen. This characteristic makes them very suitable for applications at very high frequencies. DRAs can be characterised by a large impedance bandwidth if the dimension of the resonator and the dielectric constant of the basic material are chosen properly. DRAs can be excited using different techniques which is helpful in different applications and for array integration. The gain, bandwidth, and polarisation properties of a DRA can be easily controlled using different design techniques. One of the inherent characteristics of DRAs is the absence of conduction losses. This characteristic makes DRAs suitable for mm-wave frequencies. However, at millimetrewave frequencies, the antenna dimensions are significantly reduced, which presents a challenge for ceramic based designs, due to the brittleness and difficulty of fabrication. At high frequencies, better manufacturing tolerances are required due to the smaller antenna element size. Using engineered polymer materials, Antenna Company has developed design methodologies and manufacturing processes which can be applied to achieve wideband, three-dimensional antenna structures. When shaping the dielectric resonator, different modes can be excited, which results in a wide impedance bandwidth. The ability to excite higher order modes makes the DRA electrically large with respect to its resonant frequency, resulting in a higher antenna gain. This approach can be applied to single-element or multi-element antenna arrays. Furthermore, the adoption of DRAs driven by higher order modes has the advantage of improving manufacturability at millimeter-wave frequencies. As a matter of fact, for a given resonant frequency f0, the size (volume) of a DRA operating on a higher order mode is much larger, typically by one order of magnitude or more, in comparison to that of the same DRA resonating at frequency f0 on the relevant fundamental mode. Therefore, fabrication tolerances have a smaller relative impact on higher order modes. Tackling the demanding requirements of next-gen 5G communication systems requires the development of non-conventional antenna solutions. In this respect, hybrid design approaches relying on the combination of DRAs and radiating patch/slot antennas can provide a number of benefits. In fact, by tuning a radiating patch/slot antenna and a combined Dielectric Resonator (DR) in such a way that the relevant resonant frequencies are quasi-degenerate, a broadband behavior can be easily achieved, this being useful to cover the complete 60GHz unlicensed frequency band from 57-65GHz. An example of such an antenna solution is shown in Figure 2. 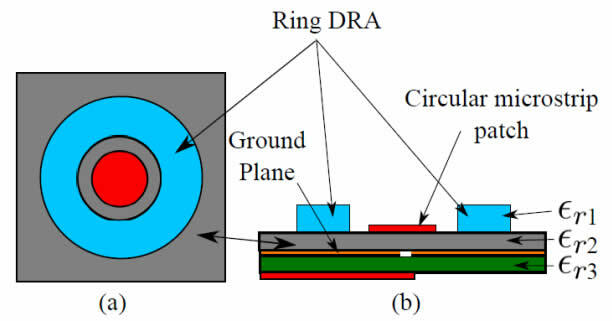 Here, a hybrid ring-shaped dielectric resonator antenna is driven on a higher order mode by a circular micro-strip patch which, in turn, is fed by a resonant slot. 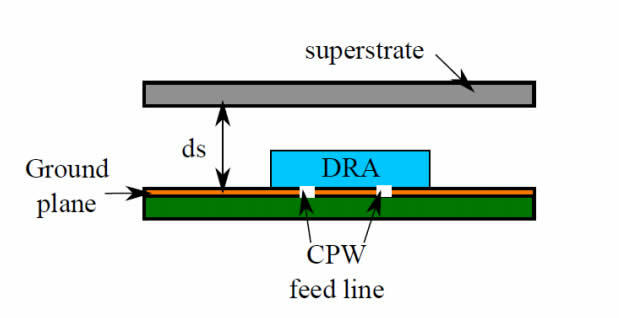 The performance of hybrid DRAs can be further enhanced by introducing suitable electromagnetic field lensing structures, such as a dielectric superstrate on the top of the DR. An example of such antenna topology is shown in Figure 3. By changing the distance between the superstrate and the ground plane on the top of which the DR is integrated, the antenna gain can be boosted up with an increase of about 9dB as compared to a conventional DRA without lensing structure. In this way, an overall peak realised gain level of about 15dB at 60GHz can be easily achieved at individual element level. The techniques described in this white paper have the potential to improve antenna system performance at millimetre-wave frequencies. This will enable a wide ranging set of emerging applications, including 5G cellular communication and backhaul, multi-Gbps wireless local-area networks, as well as short-range radar.